It’s here! 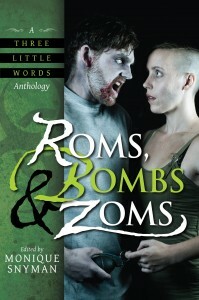 The Roms, Bombs & Zoms anthology, published by Evil Girlfriend Media, releases today a romantic, explosive, and incredibly undead anthology. It is a fantastic read that’s filled with zombies, explosions and romance – one way or another. The anthology also features some exceptional authors with a great interpretation of the “three little words”, which will entertain readers for the duration of the book. No two stories are alike, every writer took a unique approach to the theme and each author put his/her heart and soul into the work. Along with the blood, sweat and tears from the Evil Girlfriend Media team who tirelessly worked to put it all together, I’d say you’ll be getting value for your money with this anthology. But you be the judge of that. 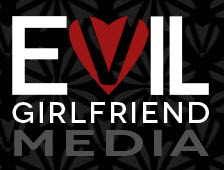 Evil Girlfriend Media’s editor, Monique Snyman, chose stories that entertained her while bringing all three of the elements of the title together in unique ways. Check out the released Table of content for Roms, Bombs, and Zoms featuring Killion Slade and many other delicious artists!